Simply put, this is the beating heart and focal point of Venice. Flanked on three sides by whitewashed arcades and carpeted in marble, you could easily sit here with a coffee and people-watch 'til your heart's content as the morning passes by. And, at one end, the square is dominated by the Byzantine St Mark's Basilica and towering red-brick St Mark's Campanile (98m). Entrance is free to the basilica and, once inside, you're treated to walls and ceilings laden with intricate mosaics, while a small charge allows you access to the museum and its balcony. The campanile offers a magnificent view of the square below and the terracotta-topped city beyond. Just round the corner from the basilica lies the Gothic-inspired Doge's Palace, one of Venice's architectural gems and now a museum worth visiting. 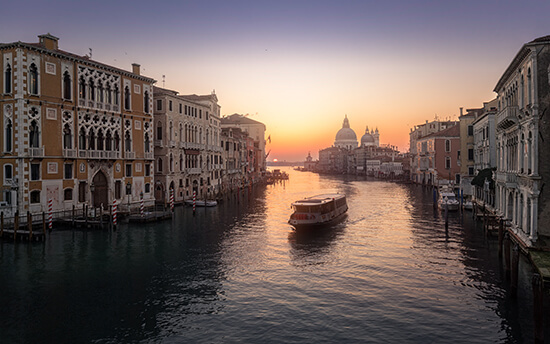 Inside lies a luxurious treasure trove of world-class art pieces, majestic staircases, the Doge's opulent apartments and you can even walk across one of Venice's icons, the Bridge of Sighs. On your first time wandering the alleys and narrow streets that make up Venice's DNA, you'll probably try to track your route somehow, in a vain attempt at retracing it at some stage later. But, don't worry. It's perfectly normal to lose all sense of direction and whereabouts when exploring Venice. In fact, it's encouraged. I know getting lost sounds like odd and probably absurd advice, but there really is no better way to explore the watery city than by following your instinct and not looking back. 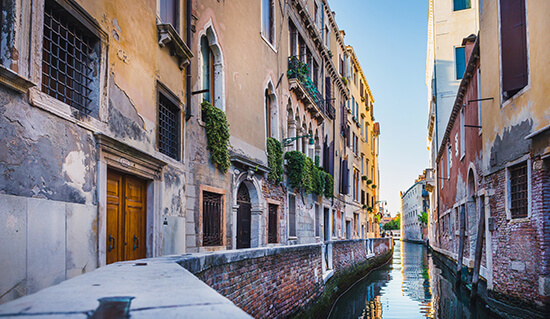 That way, you can discover cute boutique cafés only the locals know about, stumble across resplendent Venetian churches or even find a beautiful new vantage point on which to peer across the Grand Canal. There's is no better reward for disappearing down alleyways others have bypassed. 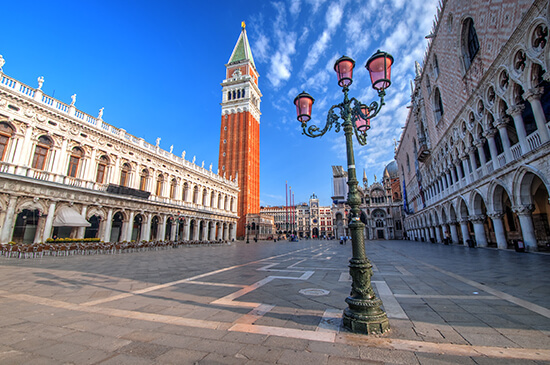 Venice is also compact enough that even if you end up having no clue where you are, a short walk in any direction will lead you back to a familiar sight like the Grand Canal, Rialto Bridge or St Mark's Square. But, the more you wander, the more you want to carry on exploring every inch of the city's backstreets. Venice is tricksy like that you see, its seductive charms pulling you along every inch of its ancient avenues. Yes, it's mega cheesy, but your visit to Venice wouldn't be complete without a ride on these watery chariots. Quintessentially Venetian for centuries, tourists have (literally) hopped onboard; I mean, can you think of a more beautiful way to lazily float around Venice, powered by a classic stripy shirt-wearing gondolier? And, is there anything more romantic to do if you're with a loved one? You can board one pretty much anywhere too, so you can start your cruise from the main waterway or even down a narrow alley. However, it doesn't come cheap – current prices stand at €80 per gondola for just 30 minutes. However, the gondola fees are a flat rate managed by the city council, so you can feel confident in the knowledge that you won't be ripped off. 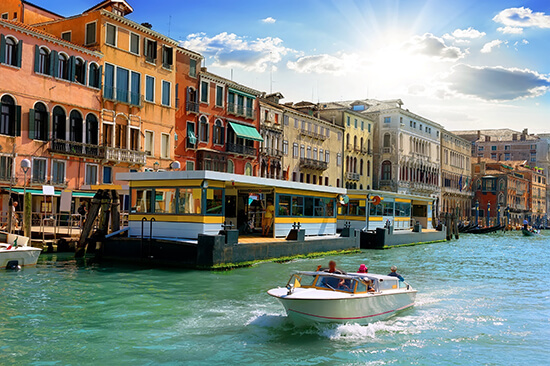 Considering its geography, its only natural Venice is famed for its seafood. Dishes such as bigoli in salsa (thick pasta strands with anchovies or sardines), black squid risotto and a huge range of fish-based antipasti will have you drooling come mealtime. All'Arco is one of the best places to dip into Venetian cuisine, with a sumptuous range of bar snacks including otrega crudo (raw butterfish) and canocchia (mantis shrimp). However, avoid eating around St Mark's Square. Meals tend to be overinflated and underwhelming. Restaurants where the menu is in several languages also often aren't a true reflection of Venetian food and are best avoided. Instead, follow your nose and you should stumble across a culinary gem only the locals know about while wandering the city's backstreets. If you're an early bird, head to Rialto Market (daily, 7am-2pm), where locals will be plying their edible wares, as they have been for the past 700 years. 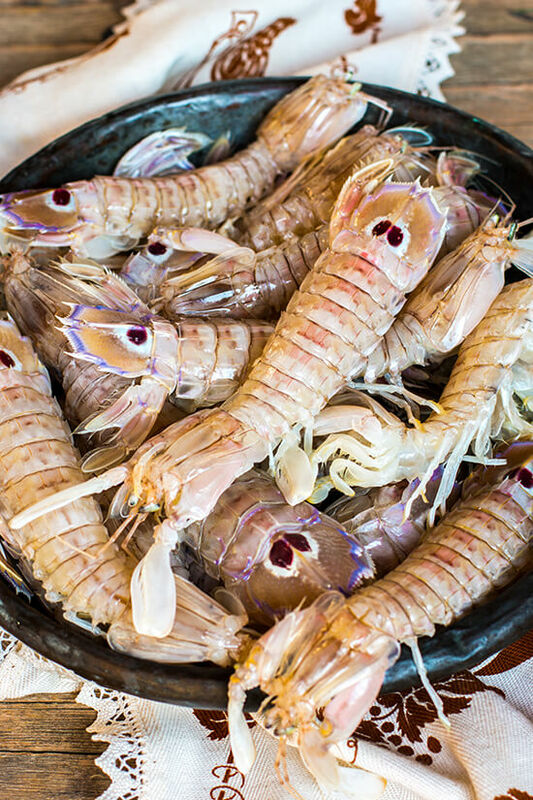 You can spy everything from octopus to soft-shell crabs and squid, most likely caught on Venice's doorstep that day. 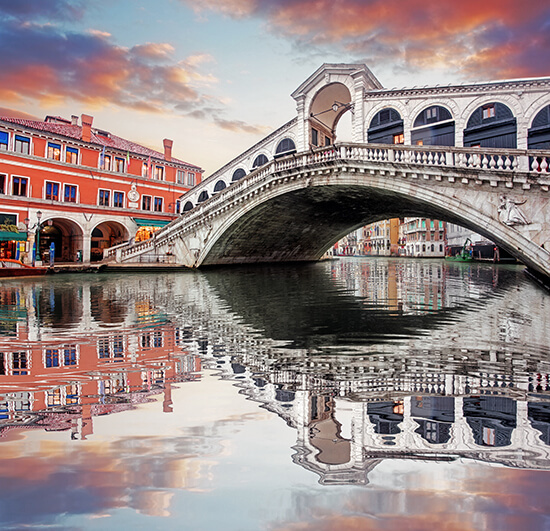 Peer up from drooling over the stalls and you'll see one of Venice's icons, too – the magnificent, ornate Rialto Bridge over the Grand Canal. More to whet your appetite for the city. Beyond Venice, the lagoon is home to many other pretty islands (still with the area's signature canals) worth hopping on a boat to. The most popular is Murano, its fame due to its centuries-old practice of glass-making. There's even a glass museum if you want to know more about the 'how to' behind the tradition. But don't make Murano your only island stop. 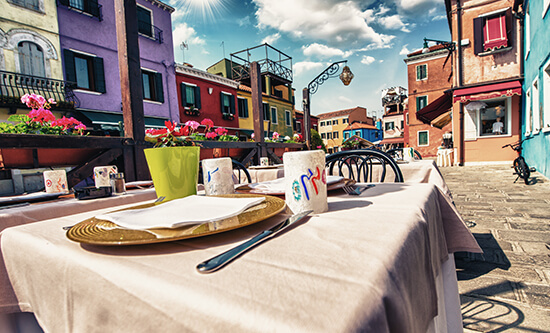 Similarly-named Burano is proud of its artisan lace industry and pastel-coloured houses bespeckle its streets, while Torcello is much quieter – head to its seventh-century Cathedral of Santa Maria Assunta to gawp at superb Byzantine mosaics. San Michele has an interesting history as a walled cemetery, Mazzorbo is worth a quick pit stop as a sleepy retreat, while Venice's Lido is perfect for beach lovers. Venice is famous for being car-free and its compact nature means it's made for wandering on foot. It's best for discovering (and re-discovering) a labyrinth of alleyways and really getting under the skin of the city. Walking is also the cheapest way of navigating the city – by far. Hopping aboard a boat is another way, but prices can be startling. Waterbuses (know as vaporetto) track the entire length of the Grand Canal and can be useful options when trying to get from one end of Venice to the other. However, they can be surprisingly slow – especially if they stop at every pontoon along the waterway – and can get (very) pricey – fares are in excess of €40 for a short trip around the historic centre. There is never really a bad time to go to Venice. Spring (March-May) and autumn (September-November) are the best times to go, when the days are often pleasantly warm and sunny, and tourist numbers are lighter than during peak season. The height of summer (June-August) can bring endless days of gorgeous weather but its thin streets are often choked with tourists and visitors from cruise ships, while a beautiful mist can cloak Venice during the winter months (December-February) – but expect a bitter chill in the air. Inspired to book your European city break? Browse our tailor-made Venice holidays or talk to one of our Travel Experts today.